She sat there with pieces of her past strewn on the floor in front of her. Numbly, she fingered the black and white photographs, looking without really seeing. 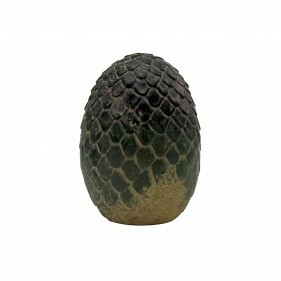 I came across the Game of Thrones online store, and it’s sort of a bad thing I did. I pretty much want everything from sigil pint glasses to Stark banners and the Stark sigil ring (I love the Starks, mostly because they have direwolves and I want one), but unfortunately I don’t get any because I’m too broke. MER. Here are a few of my favorite gems; figured I would share and spread the wealth of knowledge. Um… YUM. 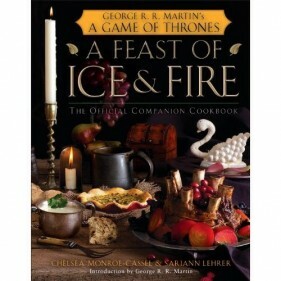 If anyone wants to buy it for me I’ll cook you a plethora of tasty old school meals (kidding… but not really at all). 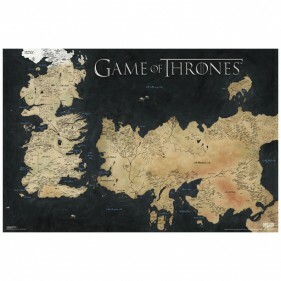 A map of Westeros and Essos, but poster sized. Chill. Okay, so THIS is outrageous. 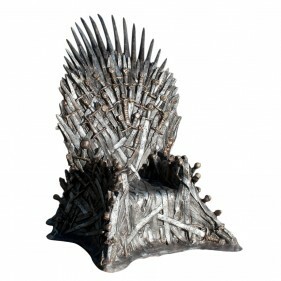 Ladies and gentlemen, meet the Iron Throne. This bad boy is made of hand-finished/painted fiberglass and fire-proof resin. It stands over 7′ in height, 6′ in depth and 5.5′ in width, and weighs in at a whopping 35o pounds. I clearly have a minor major obsession with Game of Thrones, and even more so now that I finally finished the second book! HOLLER. It was oh, only 969 pages… these books are seriously messing with the amount of books I wanted to read over the summer since one book equals like two or three normal books, but no matter. They are beyond worth it. Of course, I already bought the third one and can’t wait to crack it open, but first I told myself I needed to read my orientation packet for France, since that kind of takes precedence. For an English major who is used to cranking out three or four books a week, this is child’s play; but, I guess that’s what happens when I have to work and intern all the damned time. I also read the majority of Cat’s Cradle by Kurt Vonnegut, but I still need to finish it up. I wish I could have read more, but I may still get a chance since I have about a week of nothingness before I leave for Europe. We shall see! If anyone has any book recommendations – I bought Water For Elephants and plan to get to that, and I have The Help and Divine by Choice in line as well – feel free to send them my way! All genres welcome, and length need not be taken into consideration.